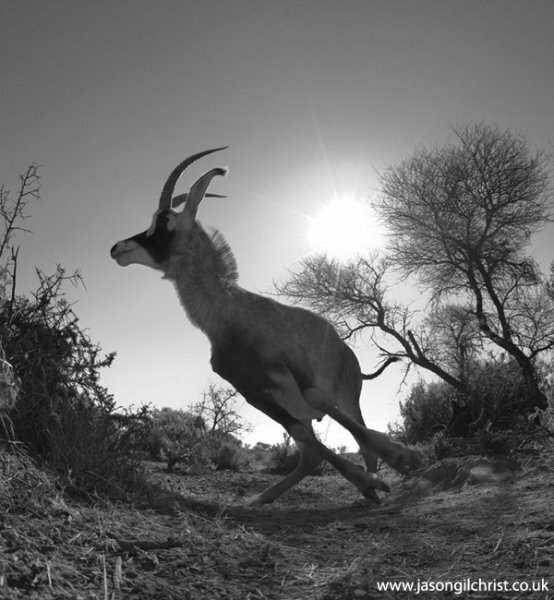 A Roan Antelope (Hippotragus equinus) in action. Amongst the largest antelope, the big ears and long legs characterise this gracile bovid. Image captured by remote camera trap. Daytime image.